Although only eight years young, KiwiSaver continues to attract members, all 2.53 million of them, who are using the scheme offered by different providers such as banks and investment companies. 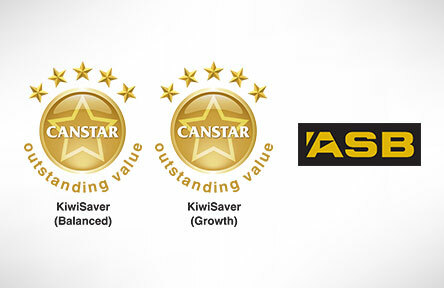 Each year Canstar research and rate KiwiSaver products available for New Zealand workers. This year we have compared 29 funds from 25 providers and are please to congratulate ASB for providing outstanding value to Kiwi workers. We caught up with ASB for a Q&A on expectations, assets and apps. Q: ASB’s KiwiSaver scheme has hit $5 billion in assets and KiwiSaver overall is booming in popularity. Is this surprising or expected? A: New Zealanders have certainly embraced KiwiSaver as a work-based savings scheme, with membership growth outstripping expectations at its 2007 launch. Generous incentives such as the annual government contribution and the $1000 kick start have helped with its popularity. In terms of growth of the ASB KiwiSaver Scheme in particular – this is a fantastic result for our members. We often get feedback from members that they are surprised by how quick their balance adds up. Members also tell us how they enjoy being able to see their KiwiSaver balance alongside their bank account. Q: From your customer feedback, what are the important things that customers look for in a fund? A: Research tells us that customers place value on good returns, good communication and being able to easily manage their investment. Q: In terms of asset allocation, is there a relatively equal mix between your funds or is there a marked preference for particular asset types? A: A significant proportion of ASB KiwiSaver Scheme members invest in the Conservative Fund (20% growth, 80% income assets). This is partly because the Conservative Fund is the default fund for members who are enrolled by their employer, and for members who enrol themselves and don’t choose a fund. ASB is focussed on encouraging members to review their risk profile and select the fund that best suits their needs and goals. ASB recently launched online fund switching functionality to make it easier for members to switch funds, via ASB’s FastNet Classic online banking service. Q: I note you have recently launched Apple and Android smartwatch apps – do you expect KiwiSaver account functionality to be available via watch in the future? A: ASB has recently launched apps for both Apple and Android smartwatches. This means ASB KiwiSaver Scheme members can now use their Apple or Android watch to check their KiwiSaver account balance, with just a few taps on their watch.